Successfully Added Android 4.4 LCD Projector - 5.0 Inch LCD TFT Panel, Amlogic S805 Quad- Core CPU, 1080P Support, 2600 ANSI Lumens to your Shopping Cart. 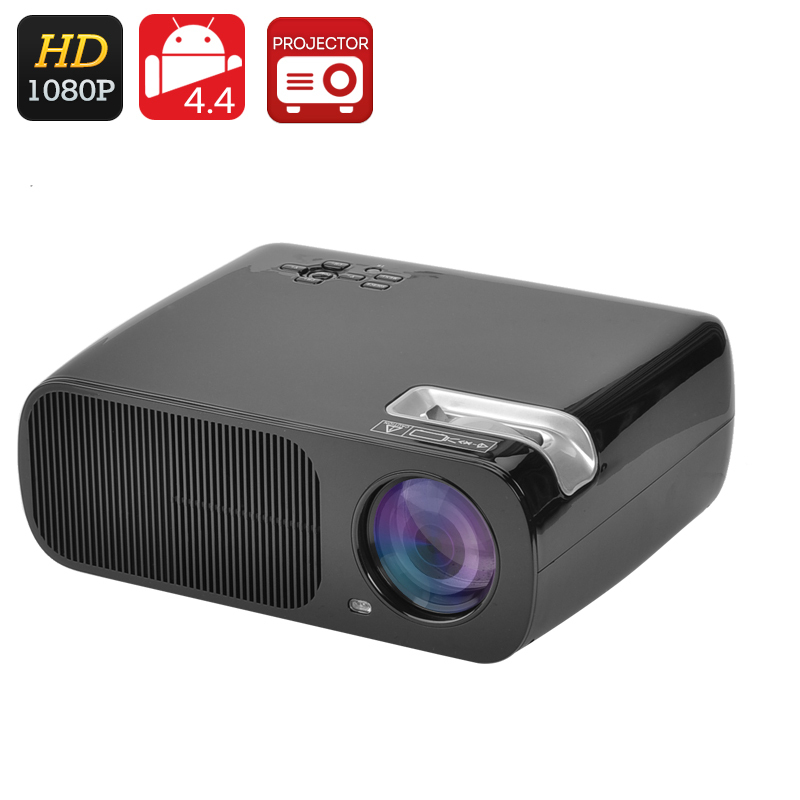 The Android 4.4 LCD projector is a great entertainment and presentation tool. Not only will it let you project media content with onto a larger screen, but also make full use of the intuitive Android operating system and access the Play Store. This is not your typical projector. While it’s perfectly capable of projecting movies, video games, photos and more onto a wall in your living room or office, it is capable of so much more than that. This LCD projector brings Android 4.4 OS into the play – meaning that you will be getting a great operating system for work and fun. You can download tons of useful apps from the Play Store, work with documents and presentations and more. The Android projector comes with 2600 ANSI Lumens and is sufficiently bright to be used with lights on. This makes it perfect for business presentations, lectures, meetings and more – as you won’t have to look for dark corners, draw the curtains or make your audience sit in total darkness. What's more, the projector comes with mouse and keyboard support – a great feature for conferences and business meetings – as you will be able to type directly on the large screen with no need for a laptop. With Bluetooth 4.0 and Wi-Fi, the projector also sports great wireless connectivity and can be easily hooked up to other Bluetooth devices. The projector comes equipped with two 2W speakers, but you can also hook it up to more powerful speakers externally. With a 360 degree flip, the Android projector can be placed anywhere – and you will be able to rotate the image the way you need it. The projector comes with 8GB of internal memory and supports up to 32GB externally. The Android 4.4 LCD Projector comes with a 12 months warranty, brought to you by the leader in electronic devices as well as wholesale Android projectors..